According to recently released figures by the FDIC, outstanding construction loans for both residential and commercial projects increased to $223.2 billion in the second quarter. That is a 4% increase over the first quarter. According to economists, the increase is due to the fact that lenders appear to be growing more comfortable extending credit, and the demand for credit is improving. Based on this, both residential and commercial construction should increase steadily moving forward. This is because the level of construction still remains low historically and vacancy rates are falling. Vacancy rates have been declining in recent years. Since 2010, office building vacancies in the top 79 U.S. metropolitan cities have dropped slowly from their recent high of 17.6%. Despite the small increase, construction lending has a ways to go to even approach half of its highs during the real estate boom. Homebuilders and lenders seem to agree the boost is slight, staying optimistic, as they have seen more banks of all sizes entering the construction lending space in the past 12 months. It seems evident that one factor needed to revive the stalled home construction business is an increase in lending to builders. Home construction accounts for 5% of the U.S. gross domestic product but remains at 3.1% for the third consecutive year in this year’s second quarter. Shortages of lots and labor. Stagnant wage growth for would-be home buyers. Higher new home prices have steered some potential buyers to the cheaper resale market. With construction lending on the rise, it appears evident that more and more constructions jobs are slated to increase this year as well. 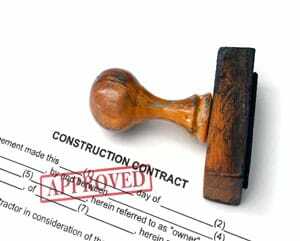 Thus the need for invoice factoring by contractors, sub-contractors, and construction companies has never been greater. It is common knowledge that in the construction industry, customers are slow to pay contractors, sub-contractors, and construction companies for their work. Now these individuals and companies can get immediate cash for their invoices. With Capstone Capital Group, LLC’s single invoice factoring program, we can help you move on to the next phase of your project right away. You can even take on new projects without worrying about additional working capital requirements. We have been helping small to mid-sized businesses for years to obtain the necessary working capital they need to sustain and grow during uncertain economic times without all the red tape you typically get from most banks. Capstone Capital Group, LLC specializes in Single Invoice Factoring (“Spot Factoring”) for firms in need of immediate cash. Spot Factoring provides flexible, no contract invoice selling in exchange for working capital from Capstone Capital Group. To learn more what we can do for you and your business, visit us on the web at https://capstonetrade.com/, or give us a call today at 347-821-3400.